Juggling the city and the country is never easy — but for Sonia, getting away to her upstate studio space in the mountains is a creative necessity. It also gives her a chance to add to her collection of driftwood; the uniqueness of each piece helps remind her of the profound forces of nature. But nature’s power isn't restricted to the forest. Sonia's wanderlust often takes her to the other side of the world where she gathers inspiration through her travels. A lover of small towns, you may find her surfing between emails off the coast of Taiwan or sketching on a train to Bombay, where she dreams up new prints for each season. 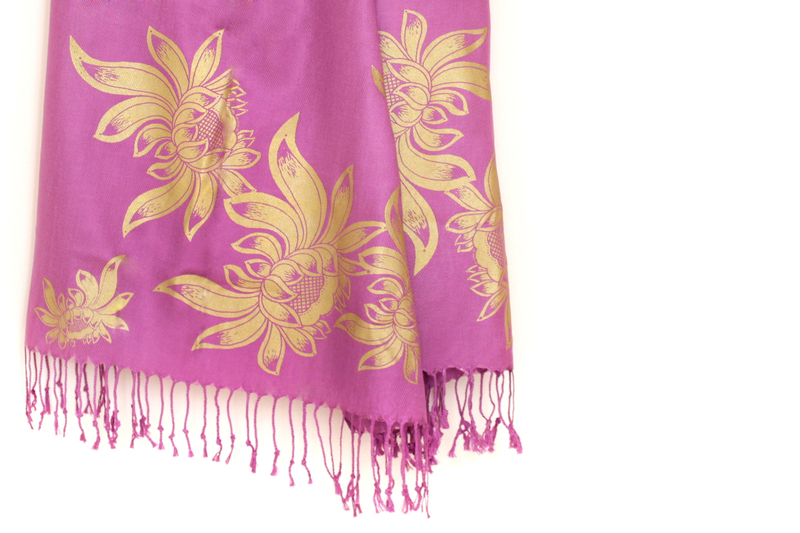 We can"t wait to throw on this pretty patterned scarf and head out for brunch with the girls it will pull together that casual-chic look we"ve been trying to nail down.30" x 80"70% Viscose, 30% Acrylic, eco-friendly pigments.